Employment litigation can be complicated and disruptive – it doesn’t have to be. 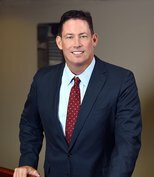 Should a current or former employee pursue litigation, we’ll be in your corner, protecting your business and the reputation you have worked so hard to build. Even in the best business environment, claims can arise and disputes ensue. If you are facing employment-related claims, including litigation, our team can help. State law employment torts are often brought against employers, and we have experience defending employers and management in actions alleging defamation, tortious interference with business relationships, and infliction of emotional distress. Discrimination lawsuits are increasing every year, and defending these cases can become expensive for your business and time consuming for you. Our goal is to bring your case to a successful close. We have successfully defended employers in state and federal courts in lawsuits alleging discrimination and harassment on the basis of age, race, color, national origin, gender, pregnancy, sexual orientation, religion, disability, and other protected characteristics. Mediation is a confidential process facilitated by a neutral third party designed to promote a resolution or settlement of a controversy existing between parties. In lieu of litigation, or sometimes as a step in the claims or litigation process, we regularly represent employers in mediations. Interview with Lauren Daming, "Is Mere Existence of Anti-Harassment Policy Enough to Win Disputes?"